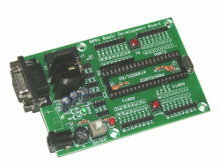 There are various types- basic development bord, intermediate board with USB and without USB. 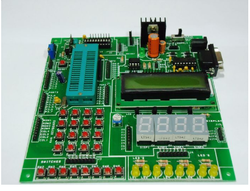 TShe board is built on a high quality FR-4(1.6 mm) PCB with a green solder mask and a clear and legible white legend. All IO pins are labelled with their names along with any dual feature they support. This greatly simplifies prototyping. We are engaged in providing a wide variety of USB WiFi Module procured from our trusted vendors. These are highly appreciable by our clients for its work efficiency and performance. 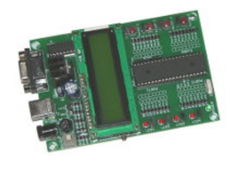 This 8051 Development Board provides an easy and low cost way to develop projects on 8051 Micro Controller without the need to purchase any other equipment such as programmer or emulators. This is a programmer for 89 series microcontroller devices in 20 & 40 pin packages and supports various 8 pin serial EEPROM ICs. 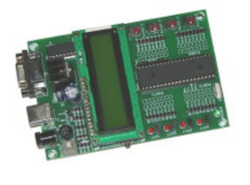 ZIF socket enables easy insertion and removal of devices for programming. 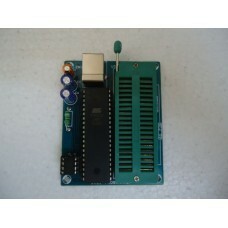 Programming is very fast since it is USB based.No external power required since it is powered from USB port itself.